From initial demolition to securing the final certificate of occupancy, tenant fit-out projects are among the fastest moving construction projects. Restaurant and retail proprietors are under the gun to open for business. Contractors are in a hurry to meet an often overly-aggressive schedule and keep up with industry demand. Landlords are eager to commence receipt of lease payments and to get beyond the disruption and mess that construction projects can cause. With so much rushing, mistakes and oversights are more likely to happen; scope will be missed; schedules will get pushed; changes will be necessary; and problems will occur. Spending a little extra time on the front-end of a project can help minimize these risks for all involved. The temptation for parties to agree out of the gate on a price-per-square-foot is difficult to resist, especially when they may have already done work together on a prior project. Before locking in a price, be sure to review the plans and specifications carefully and note any specialty materials or installation methods that may require a longer lead-time or higher pricing. Go to the existing space and note any unique access or utility issues. Owners should share their vision with the contractor and the contractor should share their capabilities and limitations with the owner. Set realistic expectations for what can be done, when it can be done, and for what price it can be done. Also note the landlord’s requirements for union labor, clean-up, LEED issues, or working hours and, where appropriate, relay any other requirements regarding construction or improvements that may appear in the owner’s lease. Click here to read more. What’s Lurking in Your Lease? Commercial tenants regularly enter into lease agreements without the advice of counsel. As optimistic as most entrepreneurs are, it is rare that the language in a commercial lease is not scrutinized at one time or another as issues arise over the course of a 15-20 year lease term. The terms that become relevant are usually not the simple default-for-non-payment-of-rent variety. Rather, there are many more mundane, but no less critical issues that arise from time to time and cause tenants and landlords to scramble through the pages of their signed lease. The assignments section in any lease is one area that regularly breeds discussion outside of the context of default. Standard form commercial leases largely prohibit assignments, absent landlord consent. Landlords want to exercise control over their space and choose tenants that they approve in their discretion. However, landlord’s interests must be balanced with a tenant’s need to run its business and maximize the value of its leased space. For instance, can a tenant take on a partner, sell its shares or assets, conduct estate planning, borrow money or even enter into a franchise agreement? Each of these seemingly innocuous events in the life-cycle of a business requires a careful review of the assignments section in a lease before taking any action. Negotiating the assignments section with an eye towards these issues before the lease is signed can avoid a disappointing phone call from the landlord down the road. Click here to read more. A common diner frustration is trying to figure out how to share dishes/ appetizers, etc., with fewer items on a plate than there are guests at the table. Or if there’s an odd number of items and an even number of guests. For example, if there are 4 people in a party and they order some apps to share, say some meatballs or a shrimp dish, which have 3 items on the plate… or for example 2 people and 3 items on plate. What to do? Start slicing and dicing? Or usually a, ‘reverse argument’ – “Please you have it”… “No, you take it”, etc. Better for wait staff to be trained to spot this dilemma… it’s even an opportunity to ‘upsell’. As in, “I can bring an extra meatball for only $$”. Simply calculate the per piece cost and offer it for that amount extra. Or just throw it in for goodwill. That kind of math can add up to happy customers. b.good was chosen as the “2014 Small Business of the Year” at the Greater Boston Chamber of Commerce 2014 Small Business of the Years Awards. Bel Ari (formerly Sorriso) has opened for business at South Street in Boston. Tavern in the Square has opened two new locations: one on Main Street in Northborough and another on Causeway Street in Boston. Les Zygomates, with a refreshed menu and renovated interior recently re-launched. Broad Street Riot opened on Broad Street in Boston. 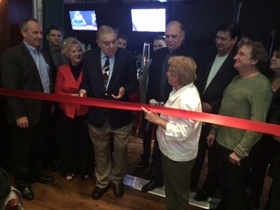 Jake n Joes has opened a new location on Main Streeet in Waltham. 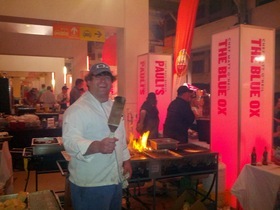 Congratulations to Matt O’Neil and Blue Ox (right) on their second consecutive year winning the Boston Magazine Battle of the Burger Competition. “Let’s Talk about Food 2014” debuted on Saturday, September 27, 2014 in Boston. 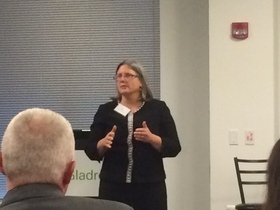 RIW’s Maureen Mulligan (right) presented at “Data Security Threats are on the Rise: Is Your Restaurant Protected From a Potential Breach?” RIW and McGladrey were event sponsors. 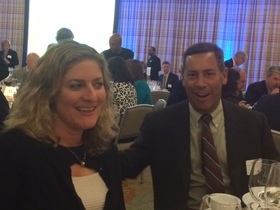 RIW was a sponsor of the Boston Magazine’s The Power of Ideas. Lou Katz introduced a panel at this event which took place Wednesday, November 5, 2014 at District Hall in Boston. Pictured above. 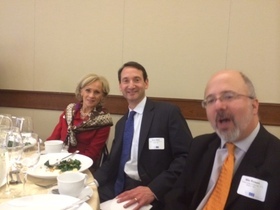 RIW’s Lou Katz & Russ Stein (left) presented at the Restaurant Finance Monitor’s Restaurant 2014 Finance & Development Conference. 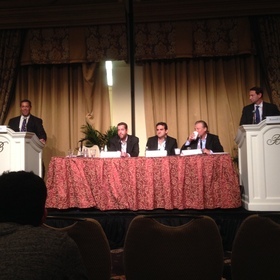 The event took place November 2014 in Las Vegas. 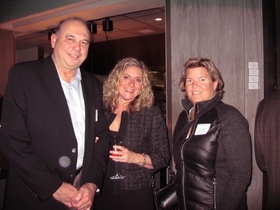 Kelly Caralis & Bethany Grazio co-hosted a New England Restaurant Networking event at Liquid Art House on October 20, 2014. Thank you to owner Ruta Laukien of the Liquid Art House for hosting us.